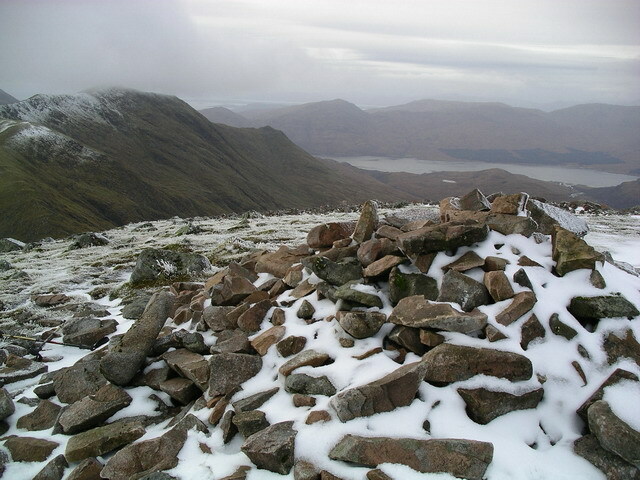 The summit cairn at 989m. The view is to the west north west and Loch Etive. © Copyright Graham Ellis and licensed for reuse under this Creative Commons Licence.